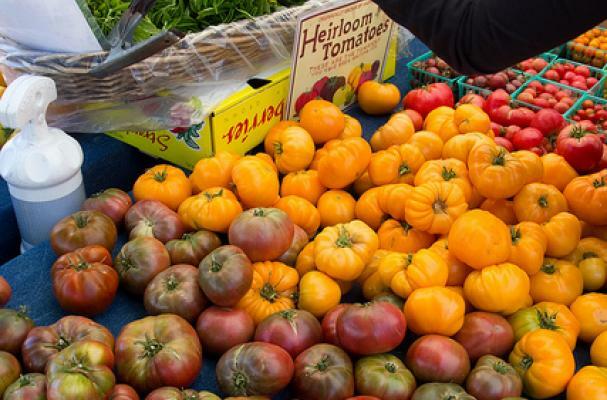 Heirloom tomatoes come in a variety of colors, shapes and sizes, are they're packed with flavor. They can also put quite a dent in your pocketbook, but the good news is that when they are in season, the price drops significantly. At the local markets they can be found organically for the same price as regular tomatoes. Here are five ways to enjoy these beauties. Cool down with this refreshing blast of summer herbs and veggies. Increase the flavor of your next salsa. This is a twist on Bloody Mary mix. Perfect for a seasonal brunch or quickie dinner. There's nothing like a cooling soup on a hot day!